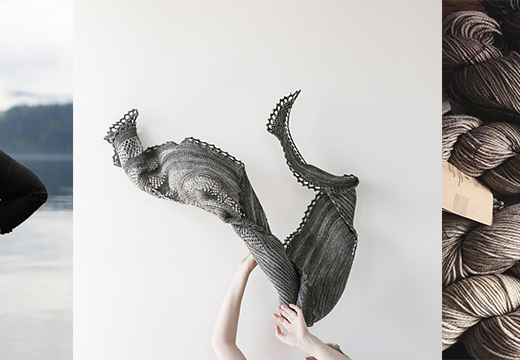 Sponsor: Making is a bi-annual handcrafts publication created by Carrie Bostick Hoge of Madder, that brings crafts people from different areas of focus to one publication. 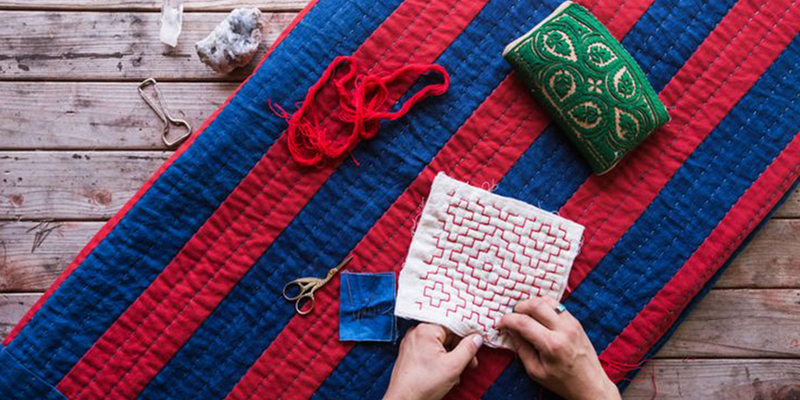 The act of making helps to connect us to the past, knowing that many craft skills were practiced daily out of necessity. We also connect to our present, as we stop to slow down and enjoy the work at hand, leaving behind the stress of our busy days. And, possibly at the heart of our creations, is the future. 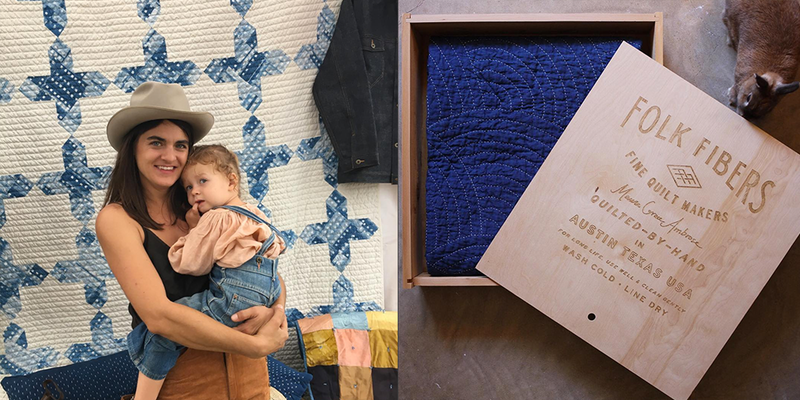 As the sweater we knit or the blanket we quilt becomes an heirloom for our family to use, enjoy, and pass down to the next generation. Circling back and tying us to the past. All these connections are equally important and help to bring meaning and value to the beauty and utility we make. Subscriptions just opened for 2017, with the Spring issue DOTS shipping in May, which includes a Q & A piece with today’s guest Maura Ambrose and myself, and the Fall issue LINES shipping in October. This year you’ll enjoy projects, essays and more from And if you missed past issues, they’ll be available beginning next week from the shop. Make sure to visit makingzine.com to subscribe and follow along on the blog and Instagram @makingzine. 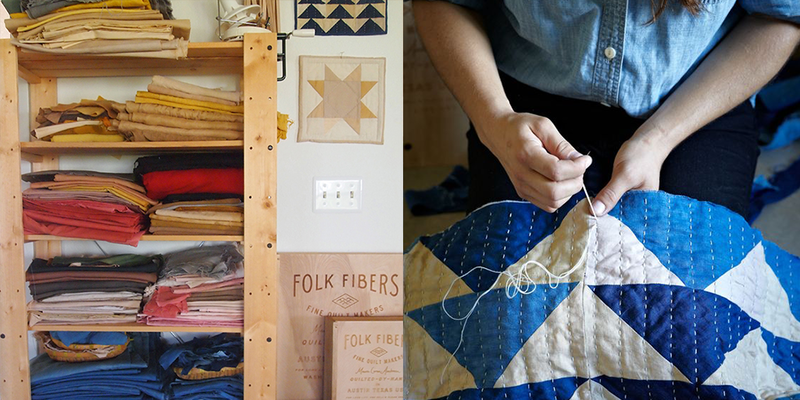 Fiber folk: When it comes to quilting, few are as passionate, dedicated and adorable as Maura Grace Ambrose of Folk Fibers. 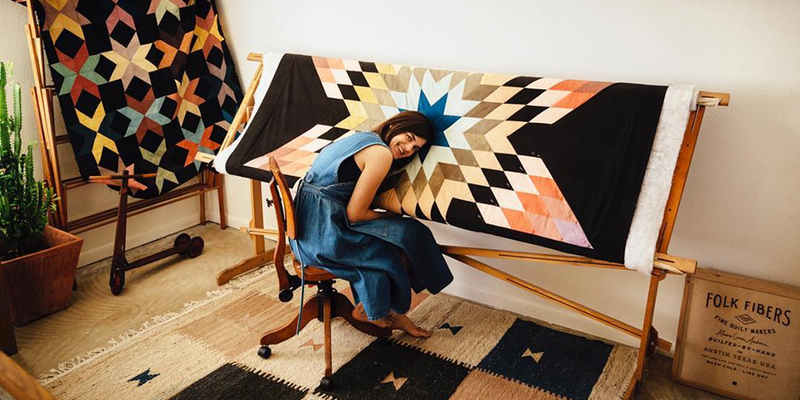 Through hand quilted elegance and natural dyeing exploration, Maura has created a mesmerizing collection of some of the most beautiful quilts I’ve ever seen. 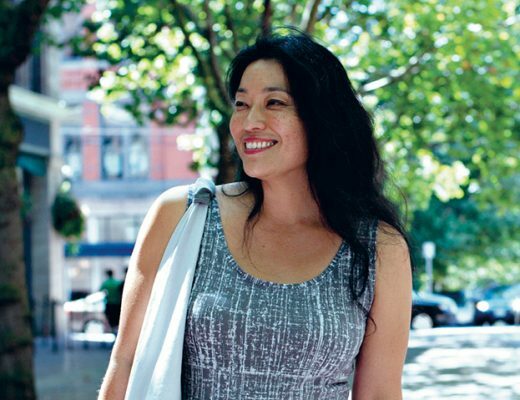 Her journey has lead her to a place where her craft comes second only to her family and the home they’ve created. I hope you enjoy getting to know Maura and her passions. You can find Maura at folkfibers.com and on Instagram @folkfibers. Scratch is also home to the areas only handcraft focused maker space–home to a sewing bar, multiple looms, common workspace, a tool library, and more! Explore their full schedule of classes, and weekly Craft Night focused on building the creative community in the Upper Valley. Giveaway: The winner of last weeks episode giveaway is Tiffany H. You’ve won a two year subscription to Taproot Magazine, 2 skeins of Stone Wool and 2 skeins of Greenbow Farm Lopi yarn. Congratulations! This week’s giveaway is sponsored by Making Magazine and they’re giving away the Constellation Bandana Embroidery project kit along with Issue no. 1 FAUNA. To enter leave a comment on this blogpost. I only have a few past podcasts left to listen to, so I have been spreading them out and savoring them. Each time you have a new episode posted I get a little thrill. So much inspiration that touches so many levels! I always enjoy listening to your podcasts! So many wonderful stories you’re gathering that provide inspiration to a community of makers! 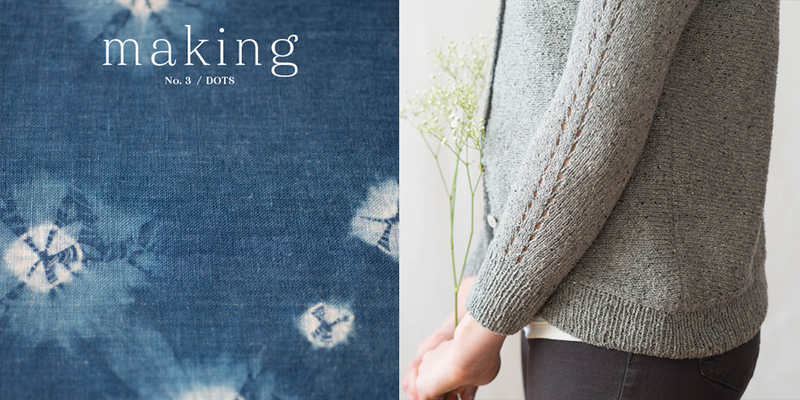 I just ordered the second volume of Making and it’s such a treat! Love this publication! Loved so much this new episode! And Maura is such an huge inspiration! 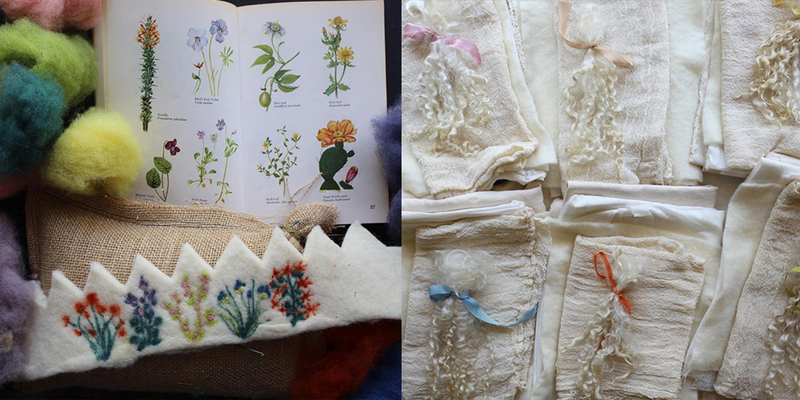 Beautiful magazine, and the Folk Fibers is so great, I appreciate the slow crafting that she puts in! Thank you for this very interesting, as always, episode, and your continued efforts to produce this podcast, Ashley. So great to be introduced to Fiber Folk! Your podcast is exciting & very inspiring, TY!! Thanks for another GREAT episode!! Thanks for an interesting episode. I love Maura’s quilts and the contrast handquilting is beautiful! So so so glad you interviewed Maura, as her quilts are some of my favorite and a constant inspiration to use the quilting techniques my grandmother taught me. I enjoyed this episode so much. I’ve admired Maura and her work for a long time and it was great to hear more about her backstory. Beautiful photos too!! So happy to hear about Maura Grace Ambrose. I ‘ve discovered her work a few years ago and that what made me begin patchwork, here in France! Her art is really wonderfull,and deep and beautiful; thank you for this interview. Maura’s passion for making can definitely be felt with every word. I really enjoyed hearing her story and how she got into quilting and dyeing. And I love how much she loves motherhood. Great story! Sweet and pure enjoy is what I hear listening to Maura’s journey in finding her place in life. 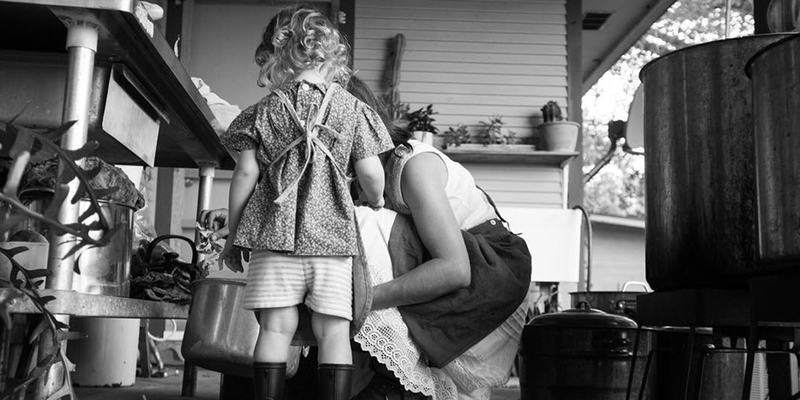 Thanks again for touching on the art of sewing and family in this podcast. Oh! Another lovely, inspiring episode! Thank you! And I just subscribed to Making too. Slow fashion, slow crafting, and respecting the materials, workmanship, usefulness, and beauty of the things we rely on are some of my favorite things about our community. Thanks again! Lovely, the quilts are amazing! I love Making, one of my favorites! 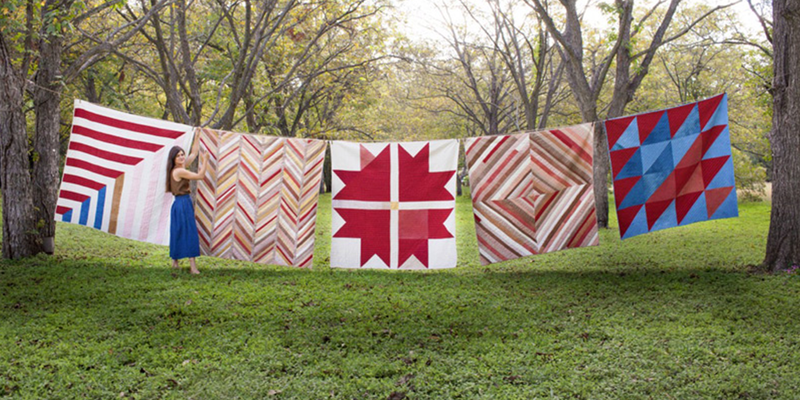 These quilts are pure eye candy. I’ve been desperate to get my hands on the making magazine. Crossing my fingers and toes you draw my name! Oh I missed Fauna and wanted a copy so much! Thank you for the great giveaway and more fiber inspiration!! 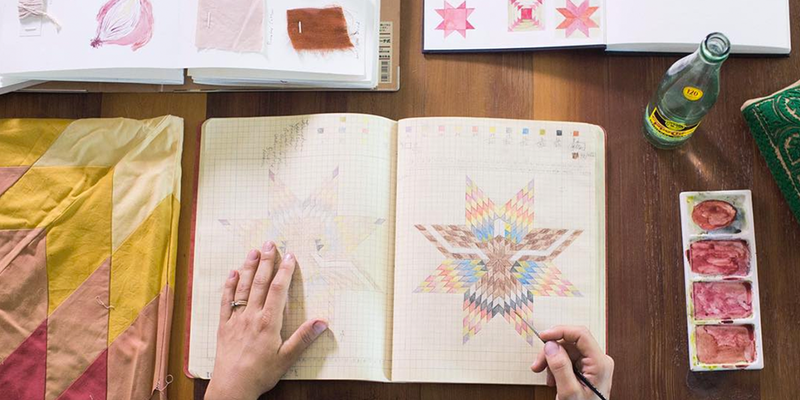 Hope to make a naturally dyed quilt this summer — Maura’s work is a wonderful inspiration. I LOVE Maura’s work. Her instagram is always super inspiring to me! 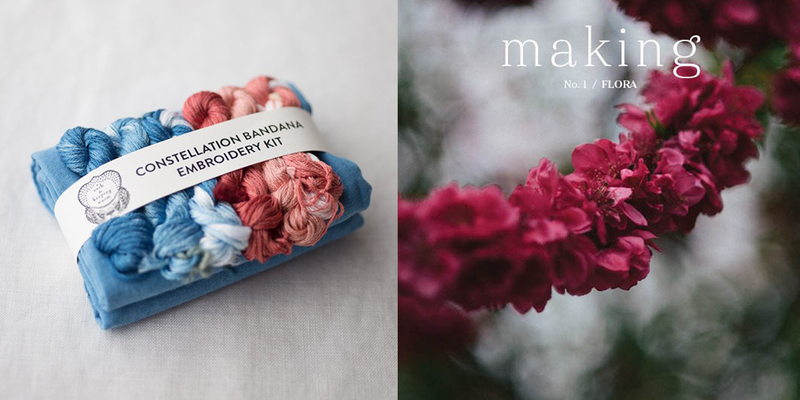 I just subscribed to Making and the only issue I don’t have is the first one, so I’d love to win this week (and I am obsessed with constellation embroidery!)! Beautiful! I have been wanting to try my hand at a bit of hand quilting, I love the results from it and she has such beautiful quilts! I just discovered the pleasure of listening to a podcast while taking a walk with my baby. Yours is really inspiring, thanks! What for a beautiful journey Maura’s have. I’m so happy to have found your lovely blog. You are an inspiration. Once again can’t wait to listen. The photos for this episode are beautiful! I recently discovered this podcast and have been listening to a lot of back-episodes! I’m enjoying it so much! Loved the episode. I commute 4 hours each day and good podcasts make the drive much more enjoyable! Lots of this episode resonated for me. Really loved learning more about Maura’s practice. Loved Maura’s joy and enthusiasm for her life, family and work! I am always searching for new blogs that evoke a certain feeling as soon as I pull it up, and experienced that when I found yours. Bookmarked! Love your interviews with so many varied fiber folks. They are always an inspiration. 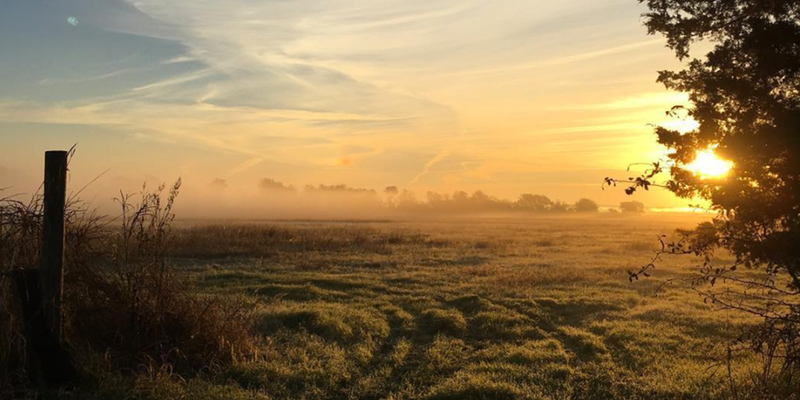 I savor listening to the podcast like enjoying my coffee at dawn. thank you! Maura is so fun! What an enthusiastic lady! Great podcast. I too only handquilt; I think it adds to the beauty of the quilt and I like the idea of making the whole thing myself without needing all the expensive equipment that is needed with machine quilting. I remember doing natural dying back when I was in Girl Scouts, but I haven’t tried it for quite awhile! What a lovely episode! Thank you. I enjoy this podcast so very much. Beautiful episode, as always! So excited about this giveaway as I just subscribed for this year’s Making magazines. I bought the second issue, but missed out on getting Issue Number 1. Crossing my fingers! Lovely episode! I remember coming across her Maura’s work in a magazine several years ago and thinking how beautiful her quilts were. So nice to hear a quilter’s story! What joy and passion she brings to her craft. Maura has such a sweet spirit. I love her story and her perspective on motherhood. Such an encouraging podcast. Thanks! I love listening to your podcast, and I love the photos you put on your blog. They are so evocative. Thanks a lot. Thank you for the interview, inspiringly gorgeous. I loved this episode so much! 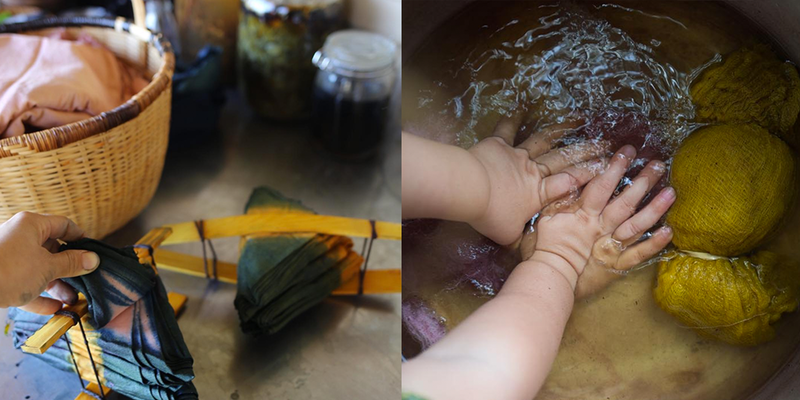 The idea of so much history being told in those old projects and the beauty in the natural dyes. So interesting! I could almost see her in her grandmother’s attic! Thank you for another reminder of how important love, family & creating are. Such a great and inspiring story! Her quilts are so beautiful! Great episode! 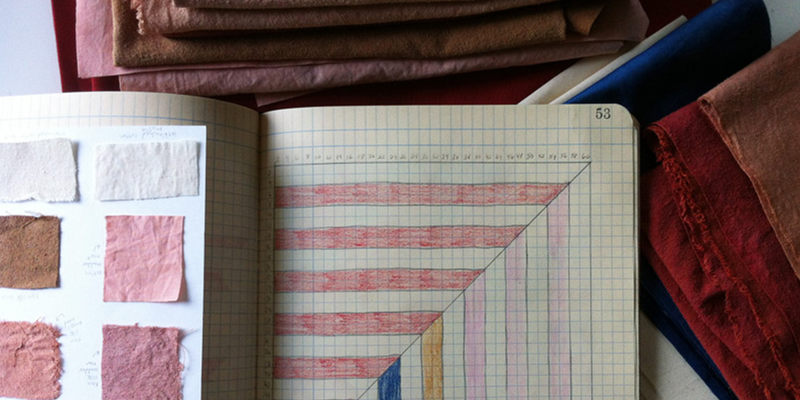 I loved learning about her journey to such amazing quilts. Thanks for sharing! This was a lovely episode. I really enjoyed hearing Maura talk and when the two of you started talking about the joys of motherhood, well I couldn’t stop smiling. Thanks for all that goes in to putting on this podcast, it is very inspiring on so many levels. Every podcast is so inspiring. I am constantly encouraged to continue creating and expanding my love of all things fiber. Beautiful! 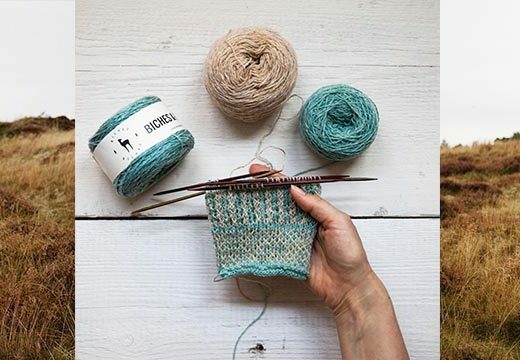 I have enjoyed following Maura and her Folk Fibers on instagram, I loved hearing more about her story and inspirations. I love her dedication to the integrity of her beautiful handcraft. Thank you always for sharing these stories! I really loved listening to this episode. I’ve followed Maura for ages on instagram and love her quilts and I was so excited to listen to her story! It’s made me itch to get back to making quilts. Thanks for the beautiful episode! This episode has made my heart sing on a particularly lonely day. Maura is a goddess, and I’m so thankful for this podcast. So inspired by the quilts. Thank you for the opportunity. I loved this episode – it makes me want to try quilting! Another great episode! Some lovely quilts, as well! Beautiful Quilts! Her instagram is so lovely. Impressive craftsmanship, and what a cohesive sense of style. Thanks! Another inspiring podcast. I think I discovered Maura a few months back in a Morning on the dock podcast and have been very interested since! You always find the most amazing people to share. I definitely need that magazine! I’m so much more impressed with quilting now than I was before I started sewing (poorly). Just lovely! Thank you for sharing Maura’s work. 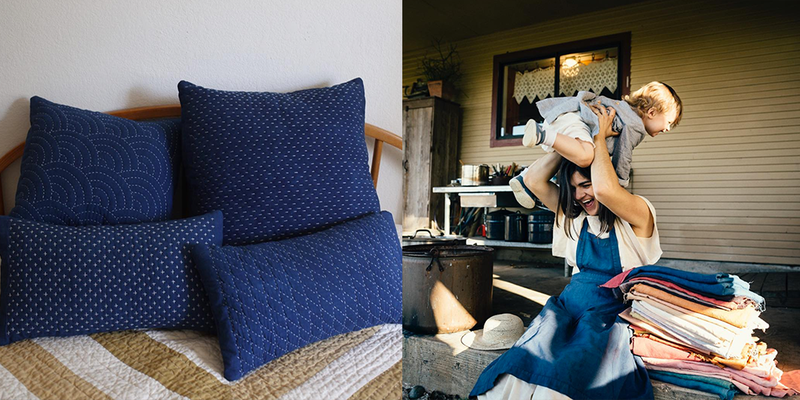 The process and final products are beautiful expressions of past and present American crafts. Thank you so much Ashley for this podcast… I felt so much beautiful inspiration coming out of Maura Grace Ambrose! Wow – I’m enjoying this podcast so much. I love Maura’s voice, her enthusiasm, and passion. It is so good to get to know her! Thank you! 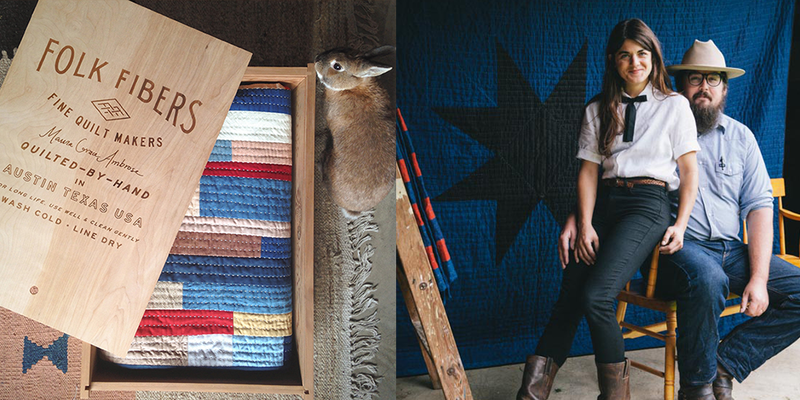 Can’t get over how beautiful Maura’s quilts are. Might be time to take up another fiber craft! Such an inspiring story! I couldn’t wait to look at her quilts. Quilting actually changed my life after I had my daughter and led me along the path to crochet and knitting. 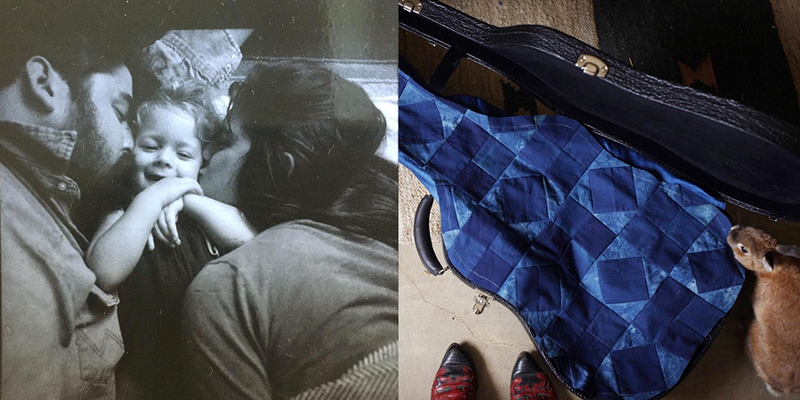 I can totally relate to Maura’s exploration of her Grandparents’ attic, as I too had a similar experience with my Great-grandparents’ attic and dressers full of vintage fabric, lace, notions and ribbon (some of which I still have). This one was great! 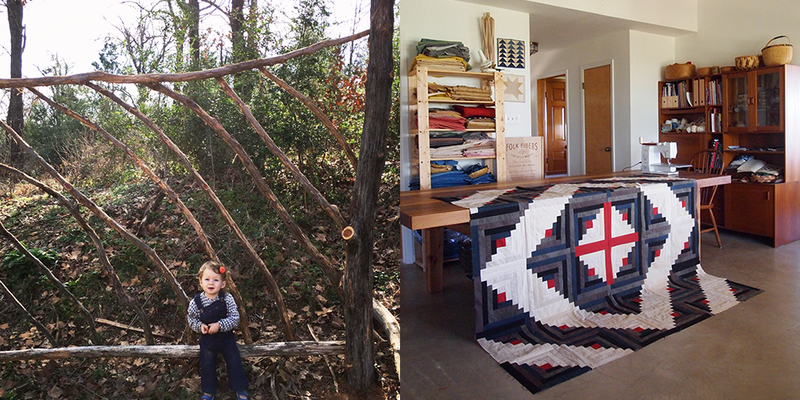 So much about things I want/need to hear about now :hand quilting, natural dyeing….it was all so good. Lovely episode! Reminded me of my grandmothers fabric trunk – it was always fun to sit with her and go through it! 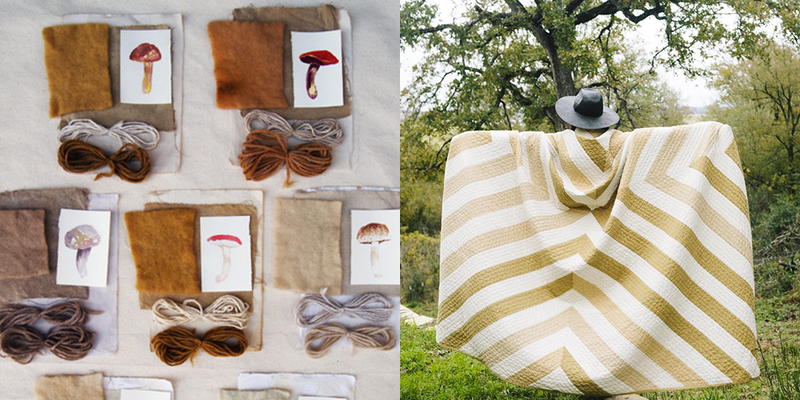 Love the natural quilt wonders of FolkFibers – because of Maura, I have dabbled in natural dyeing and LOVE it! Thanks so much for the lovely episode! Approaching work with joy. that needs to be embroidered on the back of my next quilt. And probably a lot of other places. Such a sweet story to listen to. Just discovered your podcast, and this is the first episode I’ve listened to. Maura’s story was interesting and her quilts are wonderful! So inspiring. Thank you for putting this podcast together! Loved being introduced and hearing Maura talk about her journey. Her work is beautiful! Yay for Making Magazine’s sponsorship! Carrie Bostick Hoge is wonderful. Thanks!!! I really enjoyed the story of Maura’s creative and fun ride so far, I particularly connected to her Grand Mothers influence, I learnt much at my Grand Mothers home, also, the memories of those times still have a strong and beautiful impact for me, my Grand Mother is long gone from the world, she lives on through me as I now begin to teach and enthuse my Grand daughter, history and memories ride on our needle and threads. Thank you for hosting this wonderful episode! Maura’s work is so inspiring. So much inspiration in those lovely pictures! Quilting and knitting are my two favorite crafts. What a lovely story! Maura’s work is incredible and the pictures are truly stunning. Wow, those quilts are amazing. As well as the story behind it. Making also looks amazing, so curious already for a while, so would love to participate in the give away.! Thank you for the opportunity. What a super inspiring and interesting interview. The joy was palpable! Thank you so much for sharing this lovely exchange. Enjoy these Spring days. Take care. What loveliness! Maura’s work is truly stunning. I’ve been binge-listening to your podcast for the last few weeks while pacing with my youngest in the late hours. 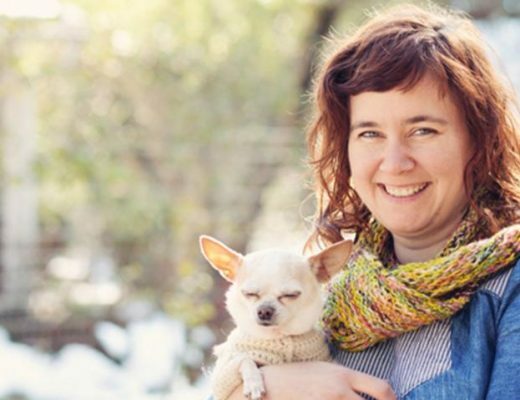 I’ve learned so much and have been greatly encouraged in my own journey towards more mindful choices in my yarn and projects, and in living more simply and self-sustainably with my family. Thank you for sharing your life with us! I love her story. The quilts are stunning. 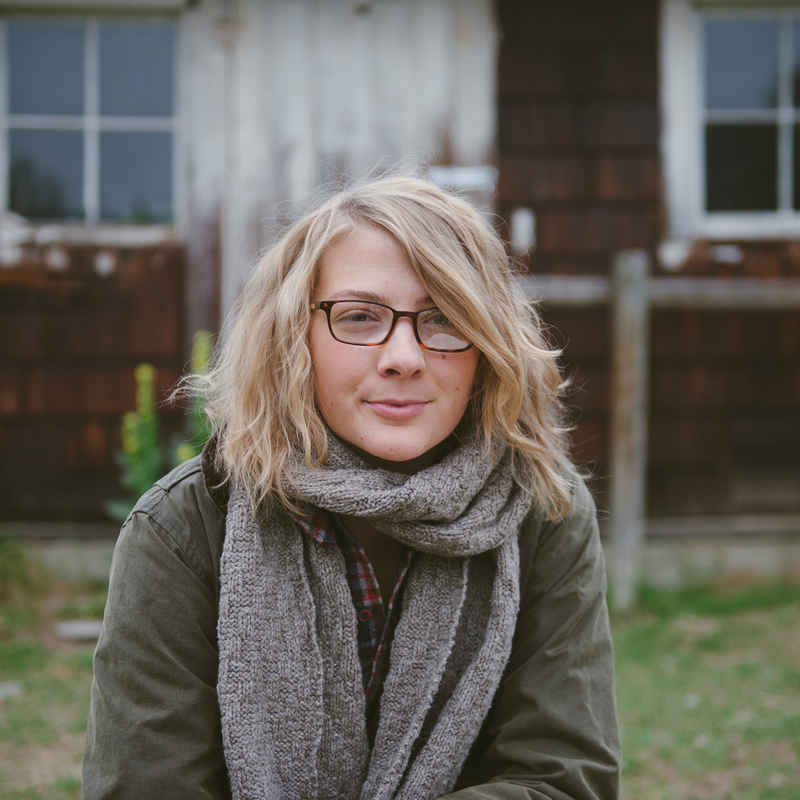 Loved learning more about and being inspired by Maura of Folk Fibers– this is my first listen and can’t wait to dig thru previous episodes ! By the look of these incredible pictures, this is going to be an amazing episode! Lovely episode. I await each Woolful podcast eagerly. But this time was extra special. I am not a knitter, just a textile lover and quilter. So this episode with Maura’s story and quilts was just perfect. 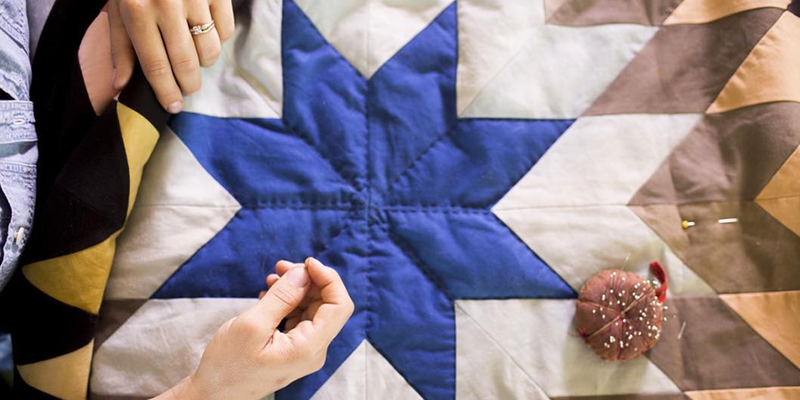 It is so nice to know that other people are so enamoured by hand quilting and respect heirloom quilts. Thank you for sharing her wonderful story. What an inspiring podcast! (I say that every week but it’s true every week!) I especially love the discussions of motherhood. They really pull at my heart. Another great episode–love them all! And I’ve so enjoyed Making Mag– it’s wonderful. Thanks +++++ in love with Folk Fibers ‘ s quilts and their boxes :-). Seach a pleasure to hear Maura Grace Ambrose talking of her journey ! Your podcast is just the BEST!! 🙂 Thanks for all the hard work you do! And thanks for all the amazing giveaways!! I have only recently discovered your podcast and find it so interesting and inspiring. It’s so wonderful to discover this worldwide group of passionate makers via the internet as I listen and knit down here in Australia. The magazine looks beautiful just from the cover. Thanks for the chance to maybe have one. Very interesting to listen to a different category of fiber journey this week. Your podcast always makes my week better. What a pleasure it was to share a few moments of Maura’s journey in her craft. It took me back to moments in my own childhood that could easily be overlooked but nonetheless shaped my own appreciation for craft, making and family. Very inspirational!! I like mixing up and trying all the fibers for a well-rounded understanding of the fiber arts! Now I just wanna learn quilting even more! Love that magazine and the kit looks gorgeous!!! Love this podcast! And what a great giveaway! Another inspiring episode which I loved to listen to! Have always loved these ones!! A pleasure to listen to, as always! Oh how I would love to hold a copy of Making in my hands! Thank you for another great episode. Maura’s work is incredible. Lovely to see her here. Thanks for another educational podcast! I’m a recent making zine subscriber and it was a pleasure to hear from one of the women behind it all. Also Maura’s quilts are GORGEOUS. Your episodes are always so inspiring! Thank you for sharing with us. Maura’s work is so unique, and it’s fun to hear all the backstory about her schooling and art. I’ve felt the same pull away from the computer screen and to more mindful, creative endeavors. The sacrifice may be in the steady paycheck, but the reward is in finding fulfillment in each day. Thanks! Very interesting episode as always! 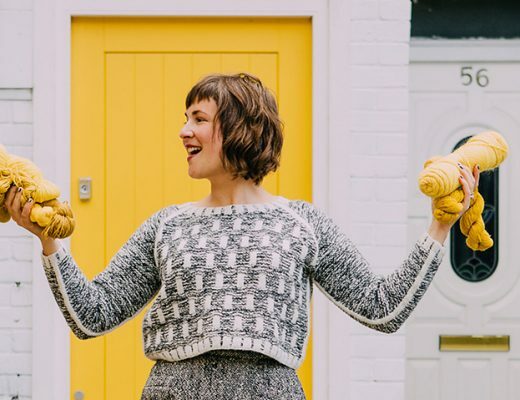 Listening to the woolful podcast, I feel so connected to a beautiful, vibrant, inspiring, creative and real community of people. It is amazing to be a part of it! Been a fan and follower of folk fibers for years! Love this! Thanks for your awesome podcast! Hoping quilting and improved hand sewing in my future. Thanks for this great giveaway! Missed out on Making issue 1. Been following her for a while. Thanks for sharing!! Thank you so much for your devotion to your podcast! I really look forward to each episode. Thanks also to Carrie for her generosity in offering the second year of Making and the extras. I have made so much from Making ‘s first year and have not been able to sign up for the second…so here’s hoping! I truly loved this episode! Maura’s story was especially inspiring. Her affinity for heritage and craft struck a note with me! 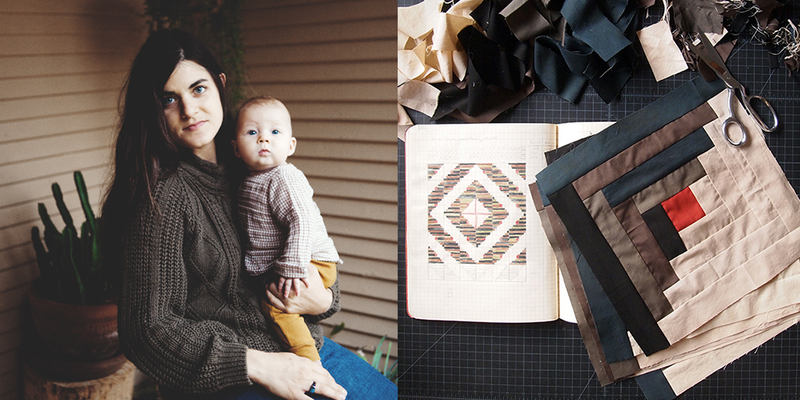 Thanks for bringing us into a wider community of makers and fiber lovers! By far this is my favorite podcast. Perfect stories to spin fiber to! Would love to win this giveaway! I love this podcast, it inspires my creativity overtime. Great episode, it brought back memories of spending time with my great aunt Alma and all her knitting and quilting supplies. I enjoy listening to your podcasts. I love the subjects and I found your voice sooving. Thanks for having a giveaway. Have a good day! This episode was so fun to listen to and I’m in awe of Maura’s talent. Inspiring! I am new to the Woolful podcast but it is quickly a favorite. I look forward to catching up on previous episodes. Thanks for another enjoyable listen, Maura and her story was delightful. 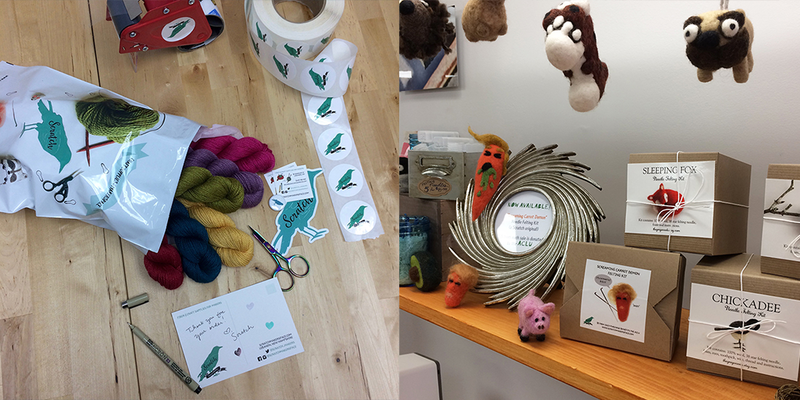 Every episode of Woolful leaves me feeling inspired and itching to get my hands busy creating…thank you! Such a lovely podcast and episode! Thank you!